On the fourth day of the week dedicated to Jean, Iwacu organized a ceremony closing the mourning week that has begun since last Monday, August 22, marking a month after the disappearance of our colleague. You will notice that we are here together, between work colleagues. We chose not to bring in your family or your relatives, because we thought these words may sound like a funeral oration. “Finding Jean” Operation : Two corpses recovered from the Mubarazi River. IWACU English News | Comments Off on “Finding Jean” Operation : Two corpses recovered from the Mubarazi River. IWACU English News | Comments Off on Alert – “Finding Jean” Operation / Mubarazi 2:50 p.m.: a headless corpse has been found! IWACU English News | Comments Off on Is it Jean Bigirimana? Jean is a colleague but also a husband of Godeberthe aged 28 and a father of two young kids: Don and John aged 8 and 3 respectively. We invite you to support his family during these hard times. 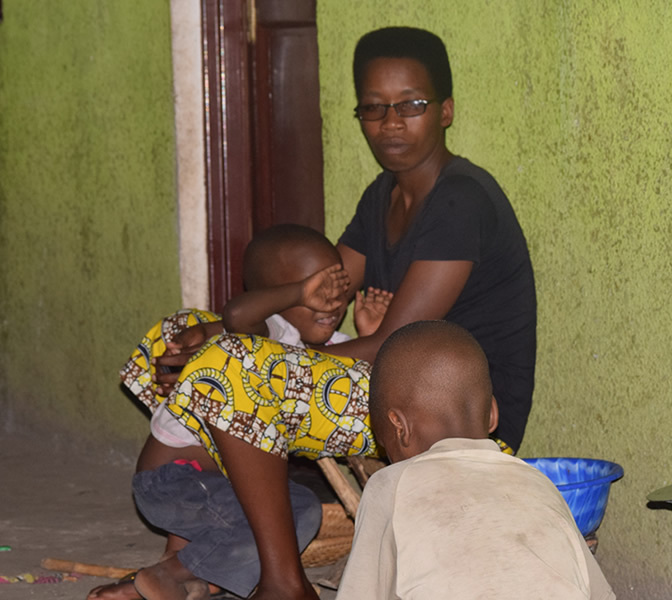 Iwacu also appeals to you to make a donation to Jean’s family. At this 21st century it is very barbaric to kill a journalist because of open criticism whatsoever . Bujumbura should learn politics of tolerance not politics of torture and kill your opponent. They may have killed Jean but they have not killed his spirit and his literature will shall not die forever. The Red Times Editorial team in Kampala has been keenly following the events and we shall always cerebrate the good deeds of Jean. May the God of Abraham continue to strengthen his young family. One day the perpetrators of this act shall face justice. IWACU English News - Copyright © 2019 - Droits réservés. Toute reproduction interdite sans l'autorisation expresse du groupe Iwacu.